EYE EYE EYE! BOOK OF MAPS VS. PEOPLE EATER! UNCLE PETE SEARCHES THE CRYPT FOR MORE "THINGS"
Dust off your sandals and sharpen up your sword, it’s Old World epic adventure time this week with UNCLE PETE in THE DARK VAULT OF PUBLIC DOMAIN. It’s muscles and meanies galore in the 1961 peplum gem – Atlas In The World Of The Cyclops. The folks of Sadok are having some trouble with a nasty monocular giant. He’s not one horned or flying or purple, but he sure is a people eater and has already consumed many of the locals. Atlas, being a good-guy, heroic type, comes to Sadok with the intent of vanquishing the Cyclops and saving the people. However, he hadn’t figured in the presence of the evil Queen Capys. Capys has an affinity, not unlike Mae West, for good lookin’, muscular demigod type guys and has her cap, er, crown set for Atlas. She decides to do everything in her power to make Atlas’ quest even more difficult. The urgency of defeating the Cyclops increases when Atlas finds that the son of Ulysses is in the Cyclops’ lair on the appetizer list. (Rumor has it that the baby is played by a very young version of more contemporary hunk Fabio and is listed in some credits as being played by little Fabio). 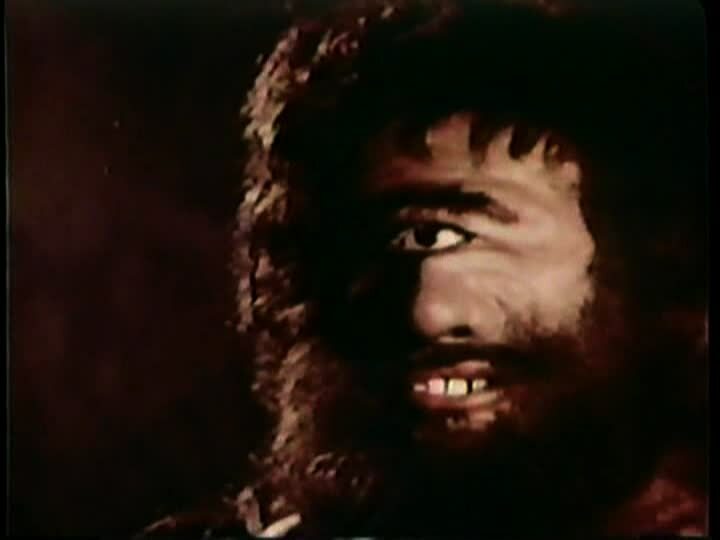 Directed by Antonio Leonviola, Atlas In The Land Of The Cyclops stars Gordon Mitchell as Atlas, Chelo Alonso as Queen Capys, and Aldo Padinotti as the Cyclops. Note: Gordon Mitchell, who had a pretty extensive career in the movies through the 60s, 70s, and 80s (including DARK VAULT fare Little Rita Of The West) must have walked in the studio backwards for this one, being listed in the credits as Mitchell Gordon. After a successful foray into the DARK VAULT CRYPT a couple of weeks ago, UNCLE PETE and Max head back down to the CRYPT for this week’s adventure finding some fancy flower vases with what looks like fireplace ashes in them and some surprises as well. 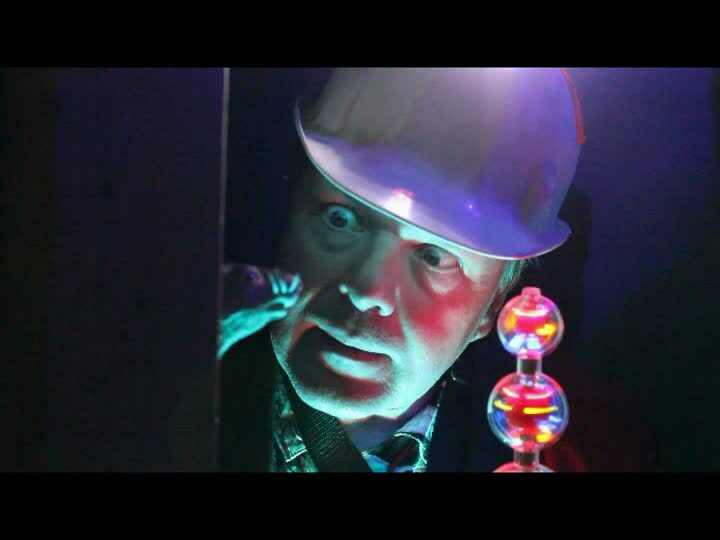 So join UNCLE PETE this Saturday, April 28, 2012 at 10PM on channel 4 for Atlas In The Land Of The Cyclops. It’s a cool dark crypt, a cold evil queen, and some heated muscleman-monster mayhem this week in THE DARK VAULT OF PUBLIC DOMAIN! ~ by UNCLE PETE on April 27, 2012.